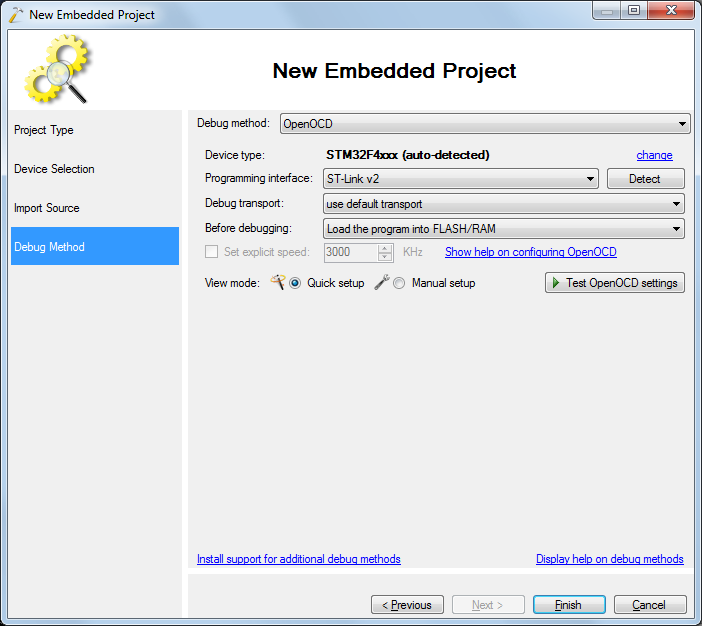 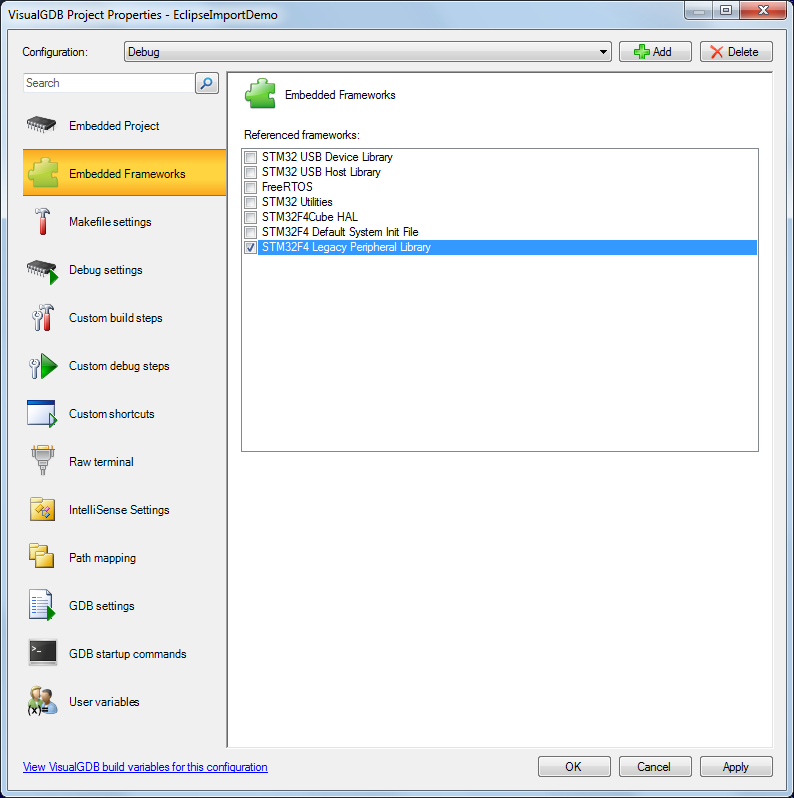 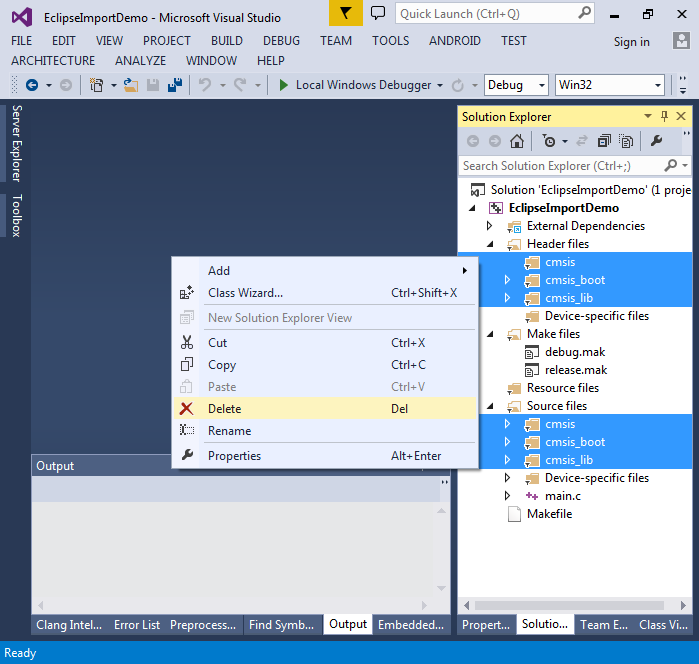 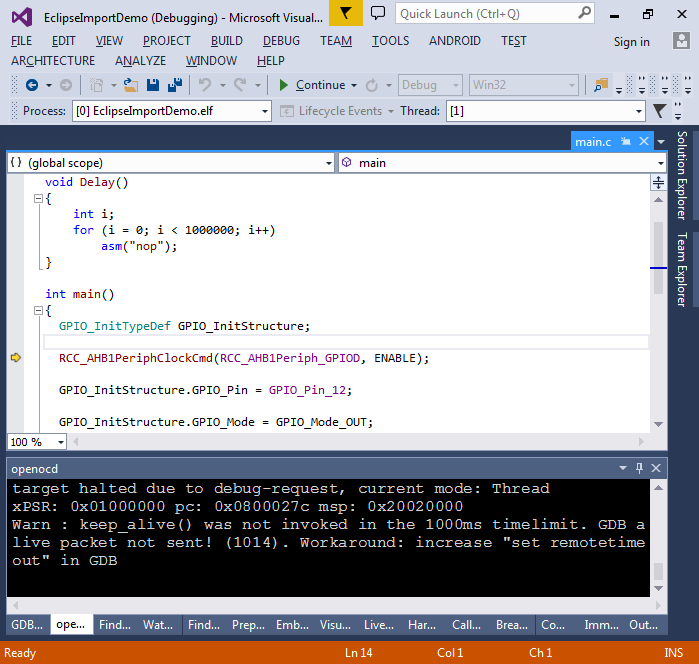 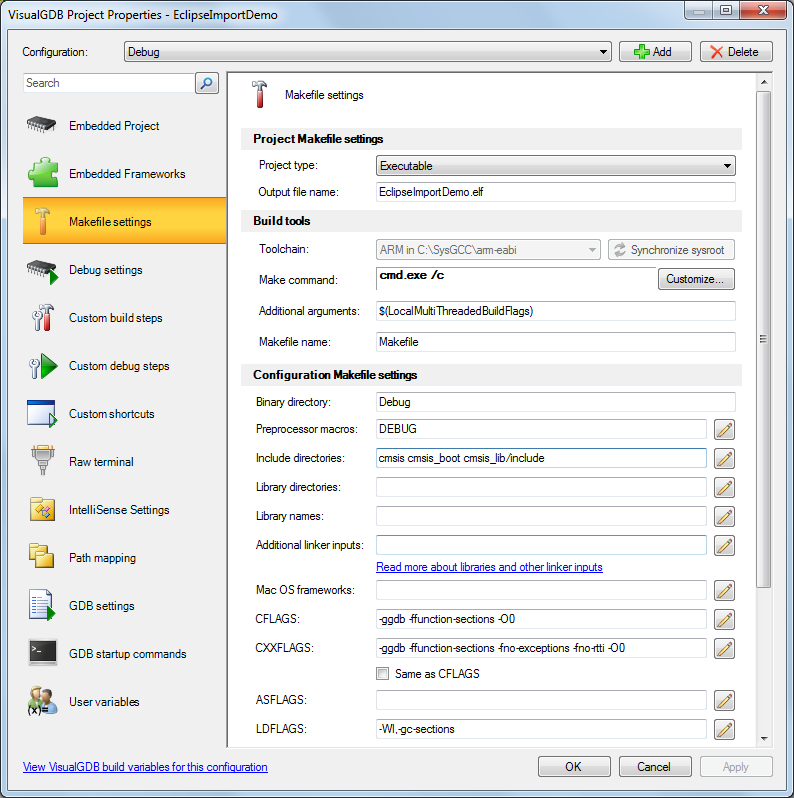 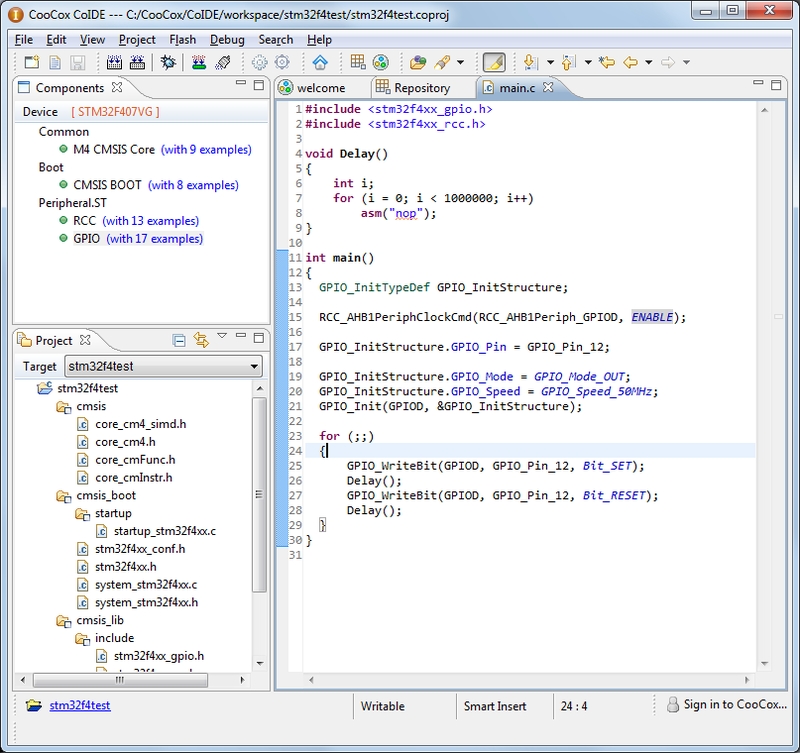 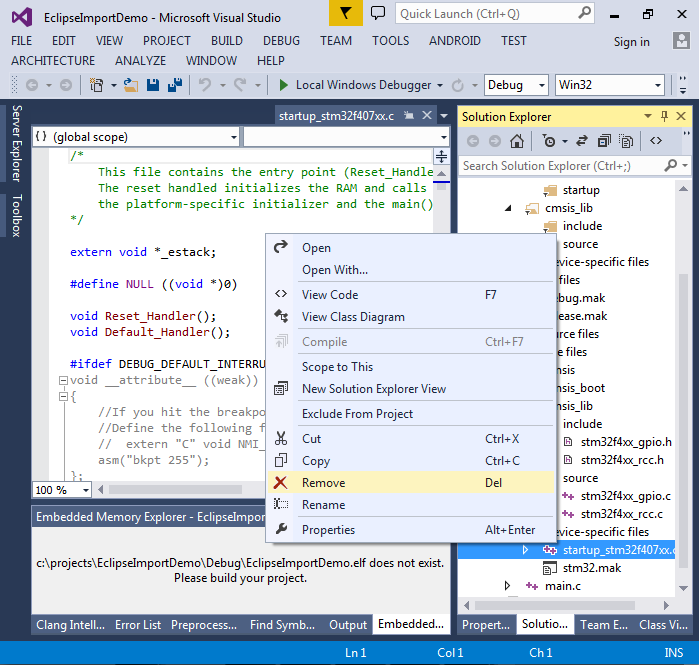 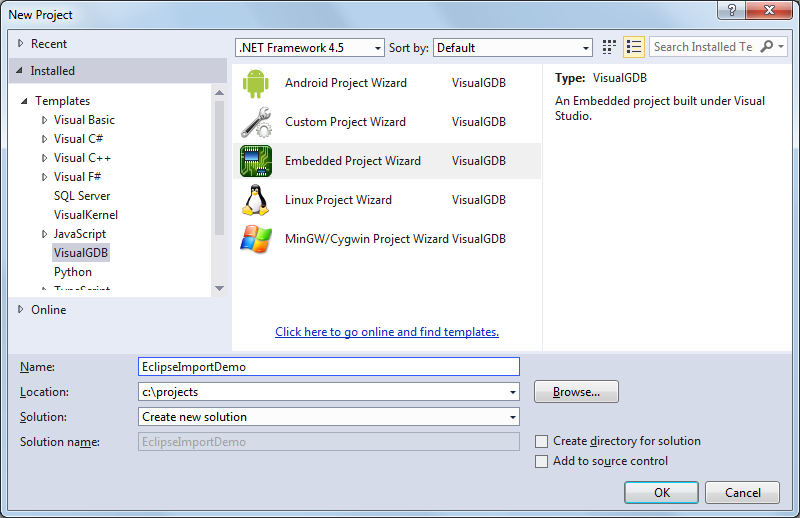 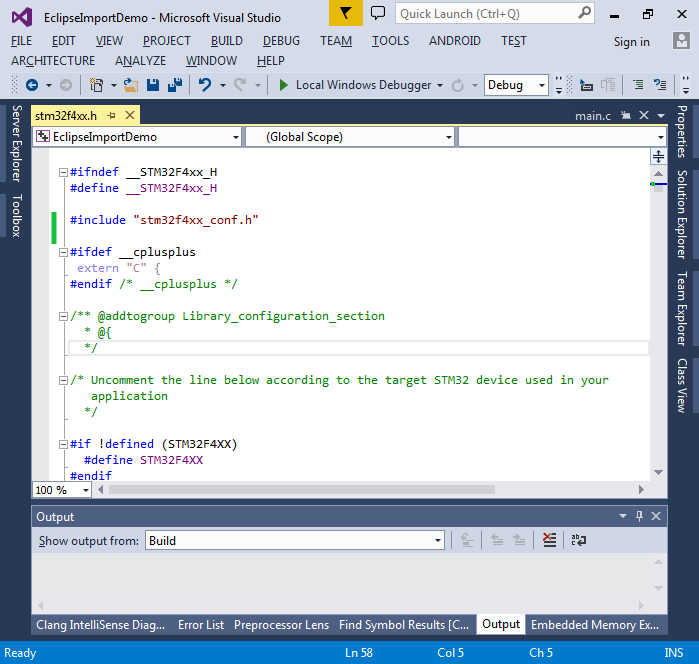 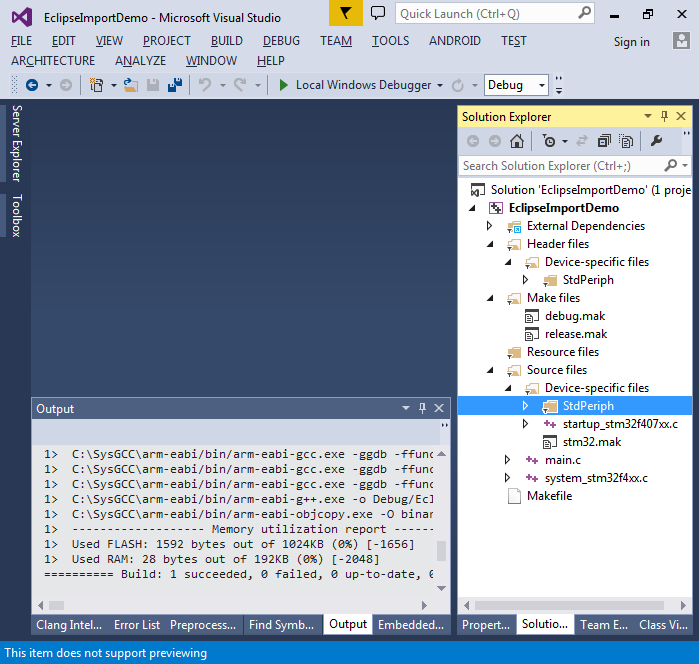 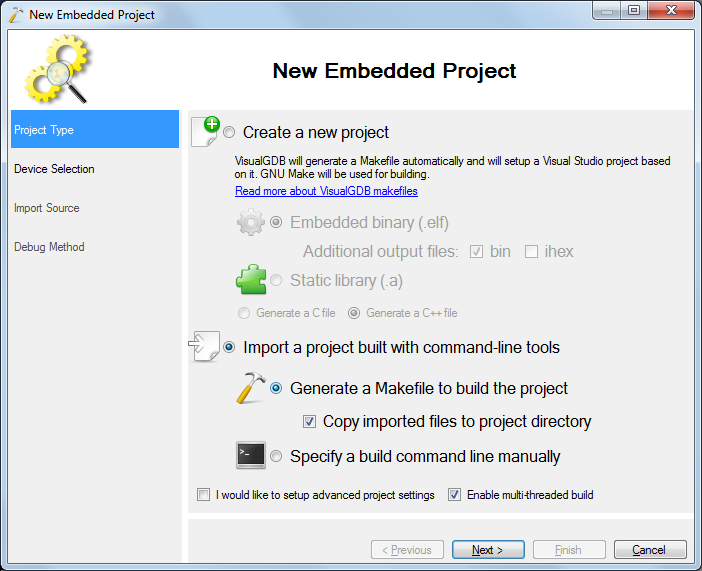 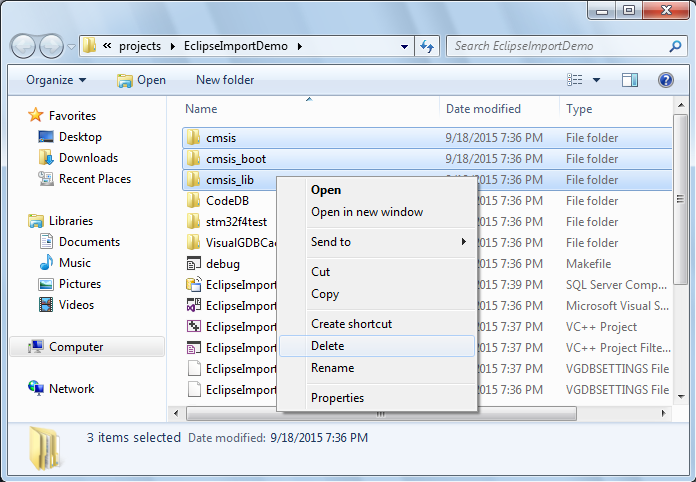 This tutorial shows how to import an embedded project from Eclipse-based CooCox CoIDE to Visual Studio, build and debug it with VisualGDB. 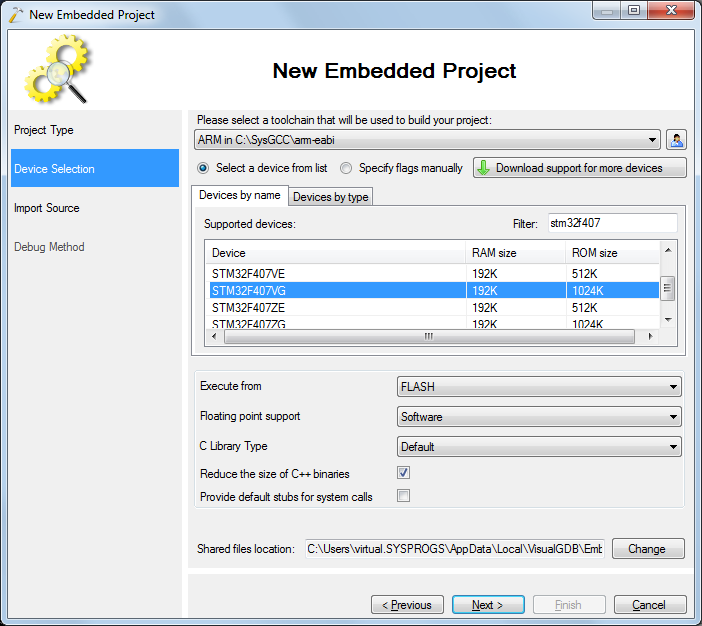 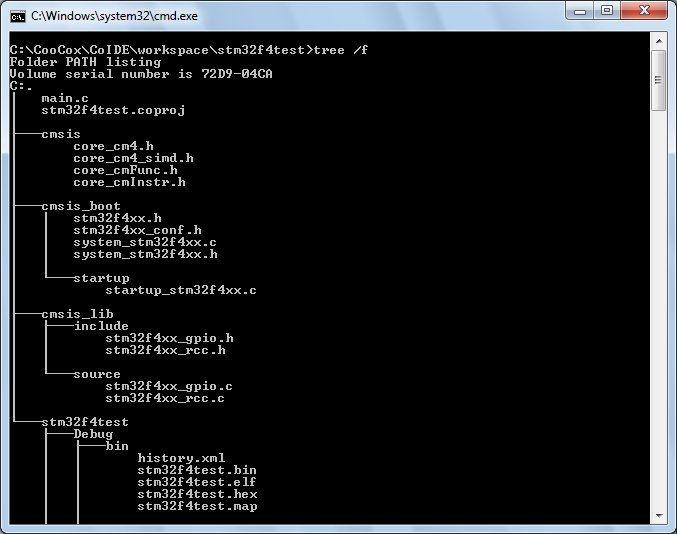 We will import a project created for the STM32F4Discovery board and show how to setup build and use the peripheral driver libraries provided by ST.
Run the “tree /f” command from the project directory to get an overview of the source files included in the project: The most important about the file layout is that the header files are located in cmsis, cmsis_boot and cmsis_lib/include subdirectories. 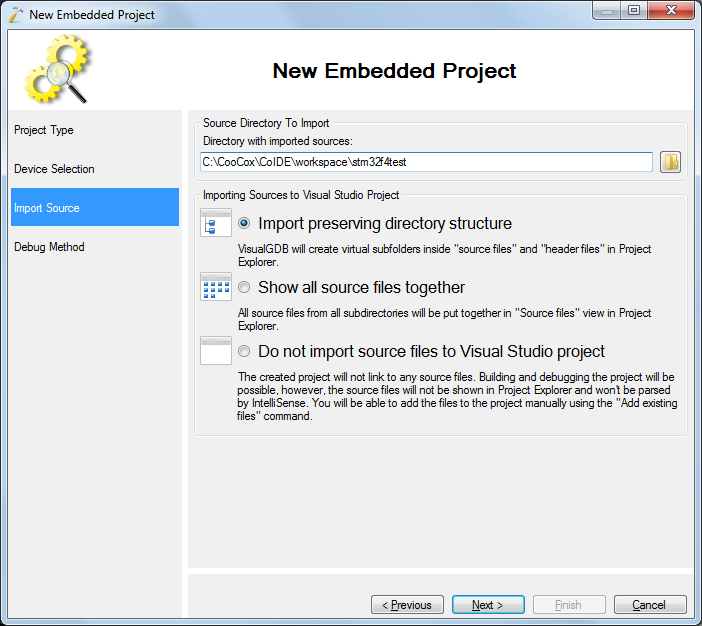 We will need to specify this later when we get the project to build under Visual Studio. 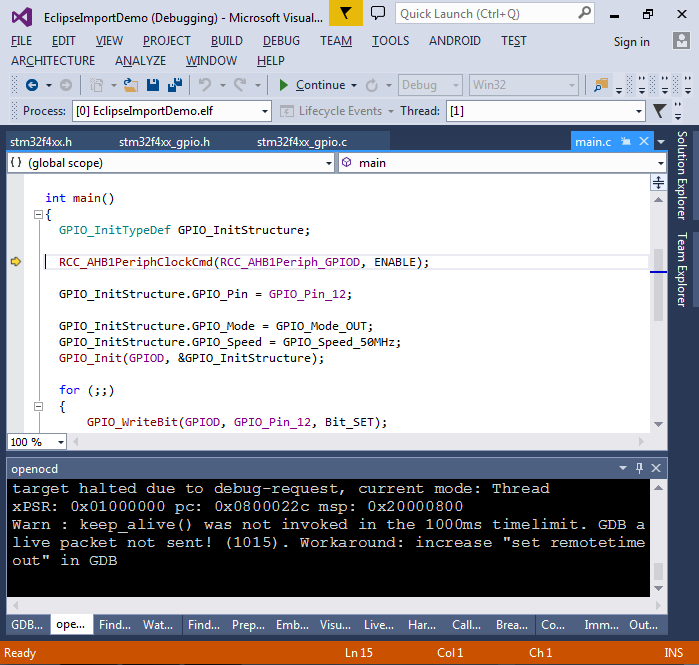 Press F10 to step into the main() function: Once the debugging starts, you can step through the function or press F5 to resume debugging.